Last October 11, we have seen the different entries for the CrackerCatchin’ Contest. 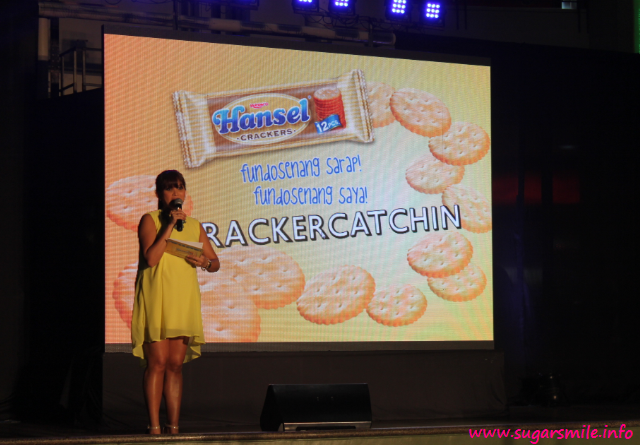 Everyone was invited to join the contest by uploading a 15-second video at @HanselCrackersPH doing the best version of a Hansel Cracker Catch. For three consecutive weeks, 1 weekly winner and 2 weekly runner ups are chosen by Republic Biscuit Corp. It was really fun watching the three final entries because they have shown great lengths and their creativity to perform different stunts in catching the Hansel Crackers. And now, the winner emerged among the entries. Congratulations to Kariz Anne Dumagsang, as she made a lasting impression to her viewers and the judges. Her entry was simple, yet complicated, and I couldn’t agree more. How about you? Do you think you can outwit how Kariz caught her Hansel Crackers? To know more about Hansel Crackers, visit their Facebook Page at www.Facebook.com/TheHanselCrackers and start catching these fundosenang goodness!